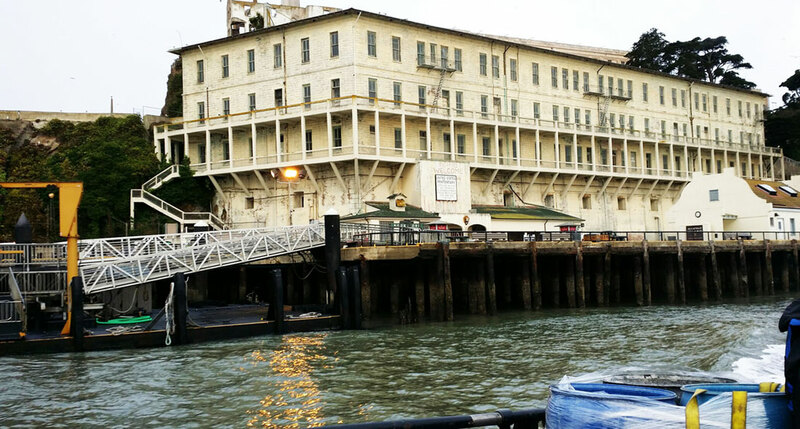 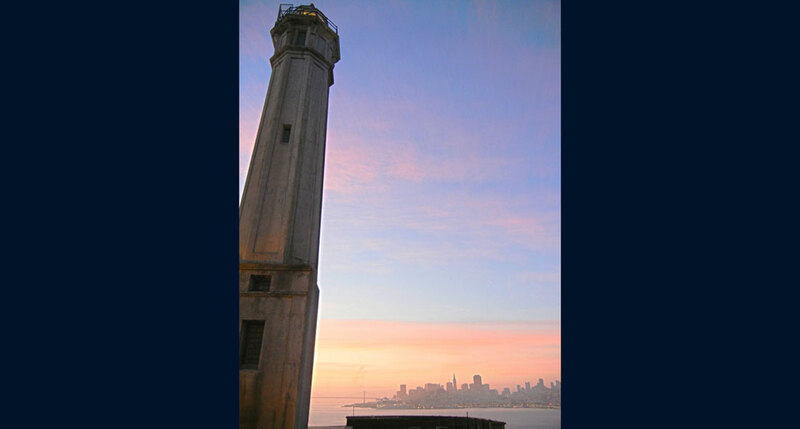 ﻿When the main cell house building at the historic Alcatraz Federal Penitentiary was constructed in 1910-1912, prison workers mixed salt water from the surrounding San Francisco Bay and brick rubble in the concrete support beams. 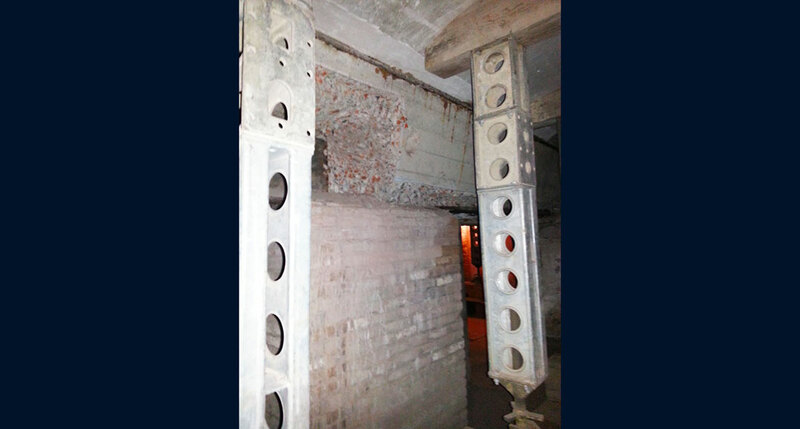 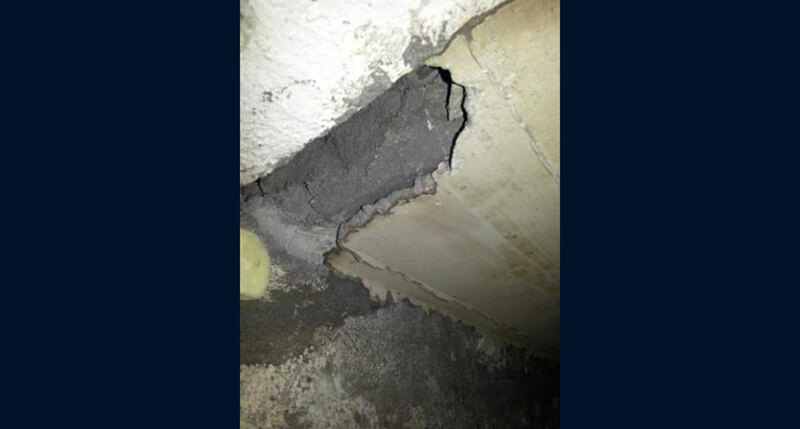 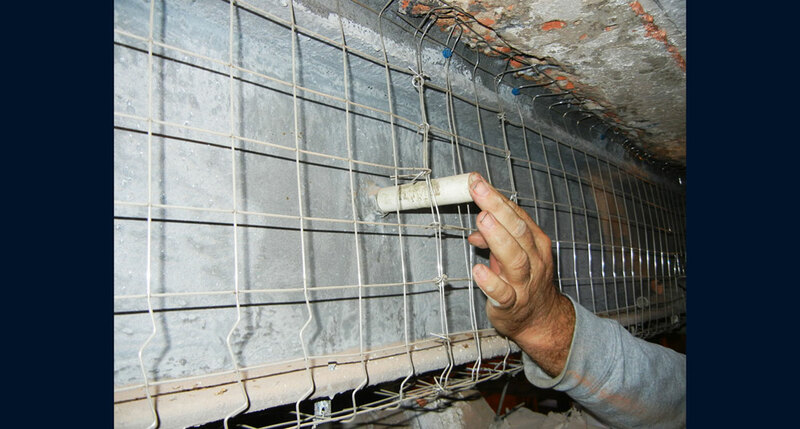 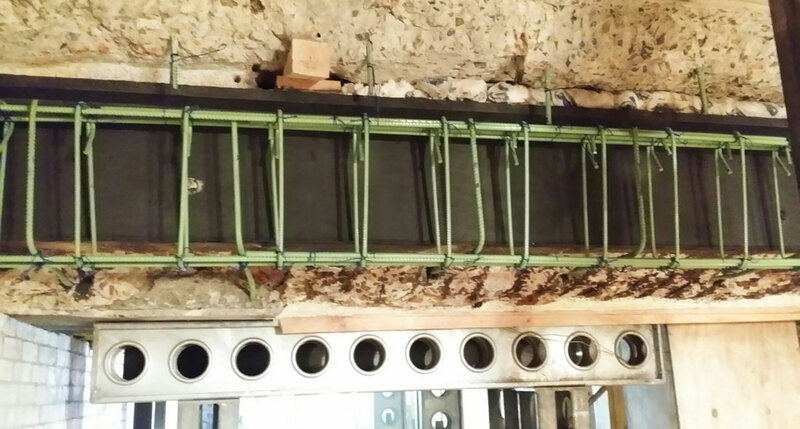 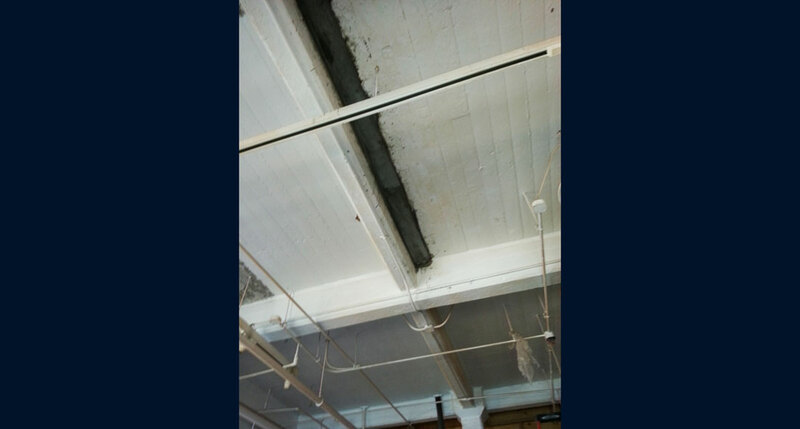 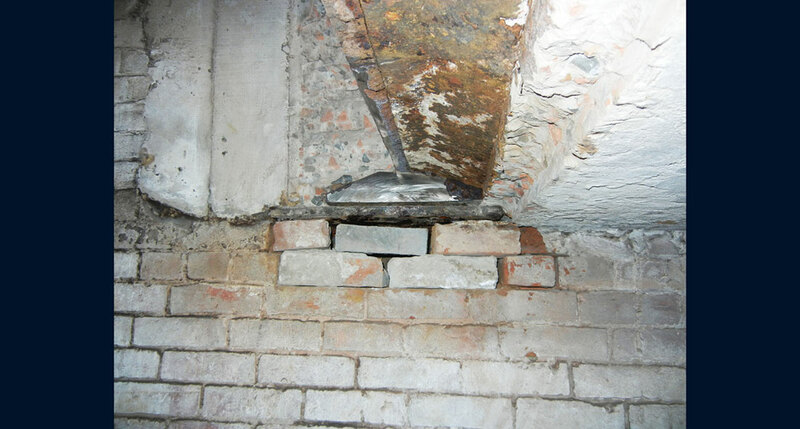 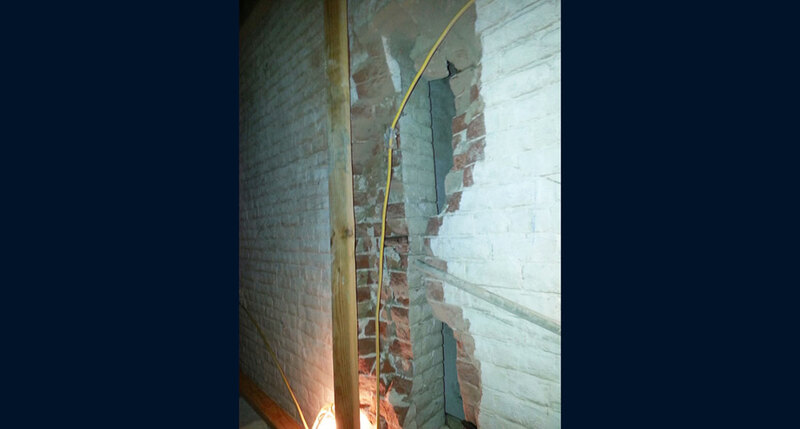 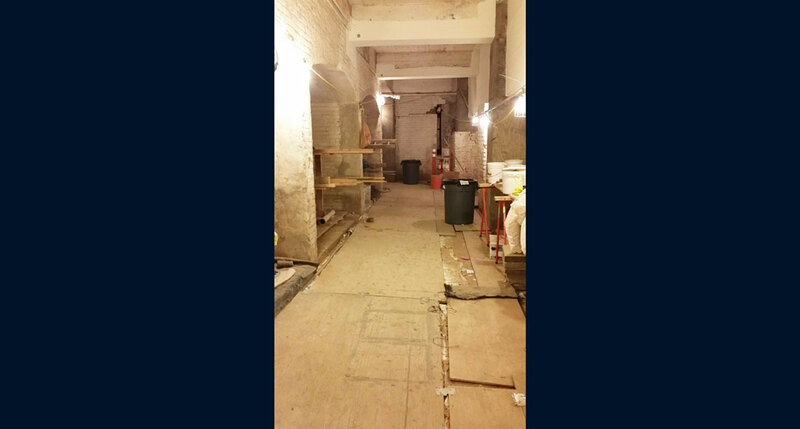 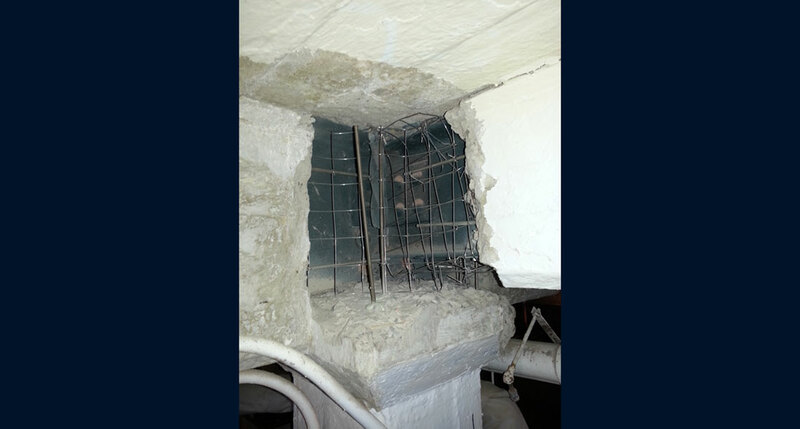 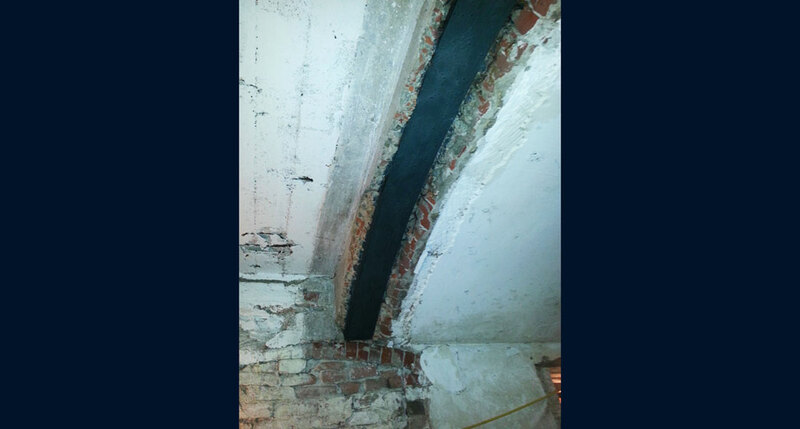 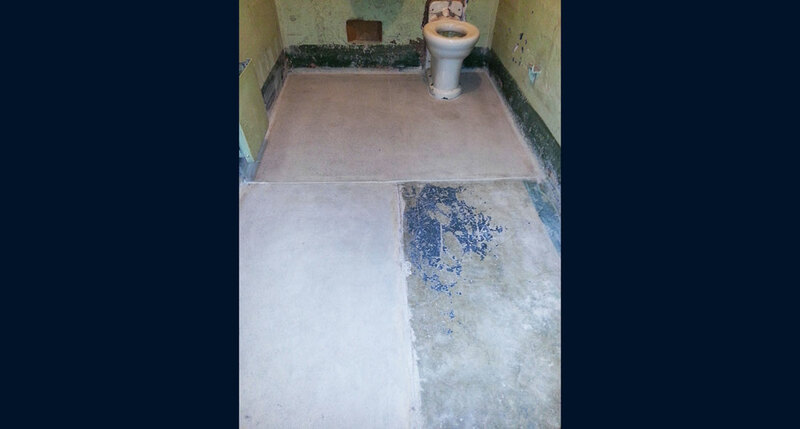 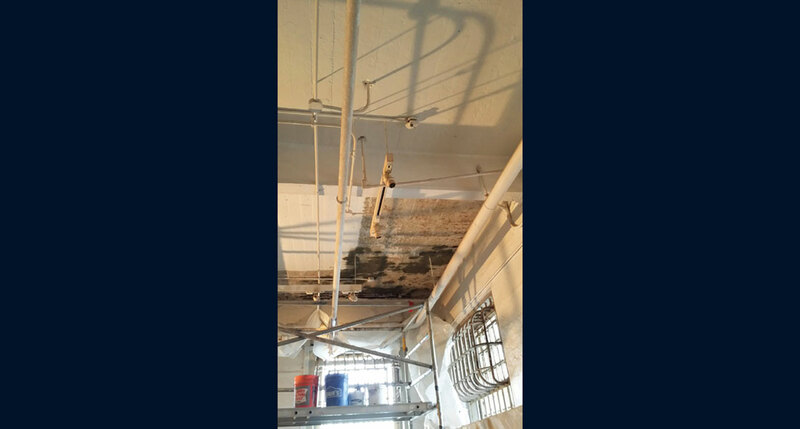 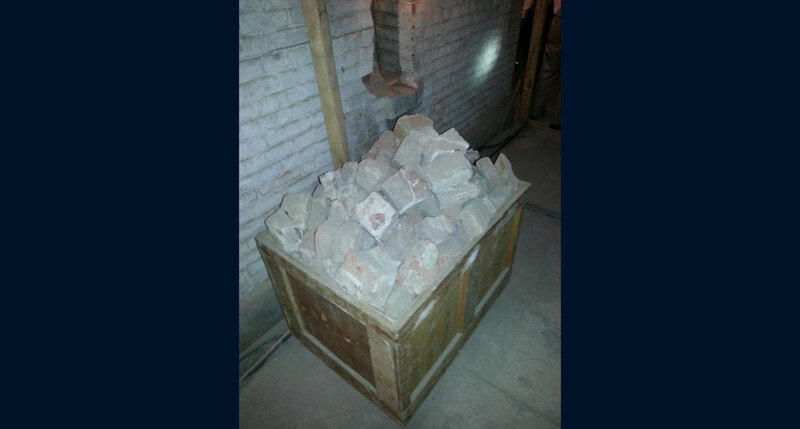 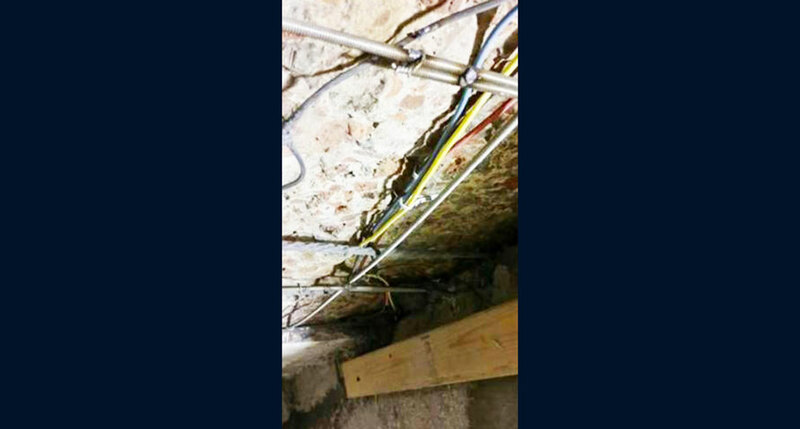 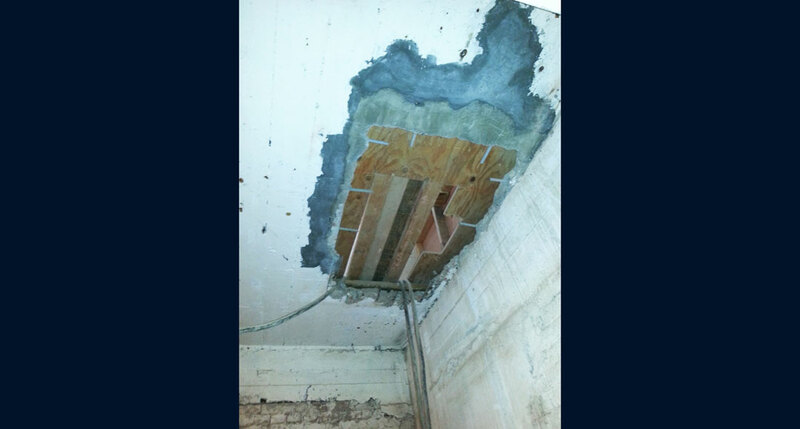 Coupled with the island’s extreme weather conditions, the large, cast-in-place concrete support beams in the original Citadel and basement shower room areas that support the main cellblock structures began to deteriorate and fail, posing major structural damage to the historic building. 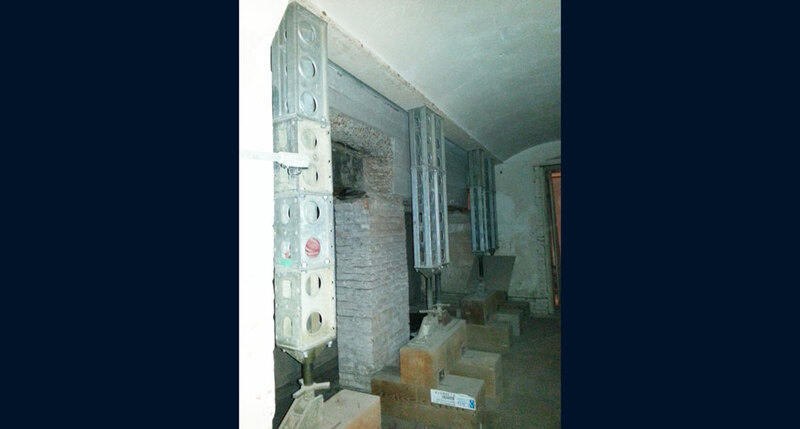 The Citadel was part of the original structure and dates back to the Civil War era. 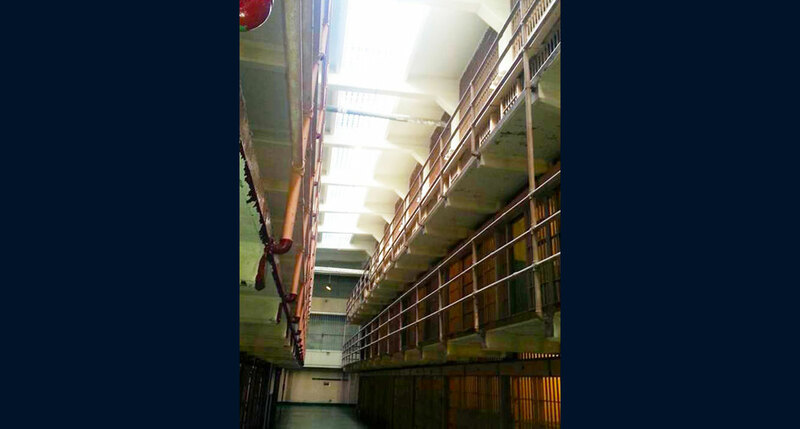 Its masonry walls support the massive concrete beams carrying the load of the penitentiary located above. 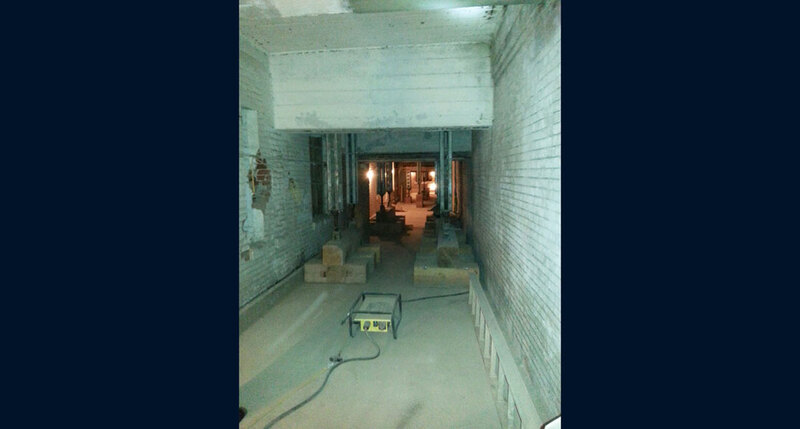 The shower room is located on the same level as the Citadel, but is separated by earthen fill and has walk-in access at a lower level of the structure. 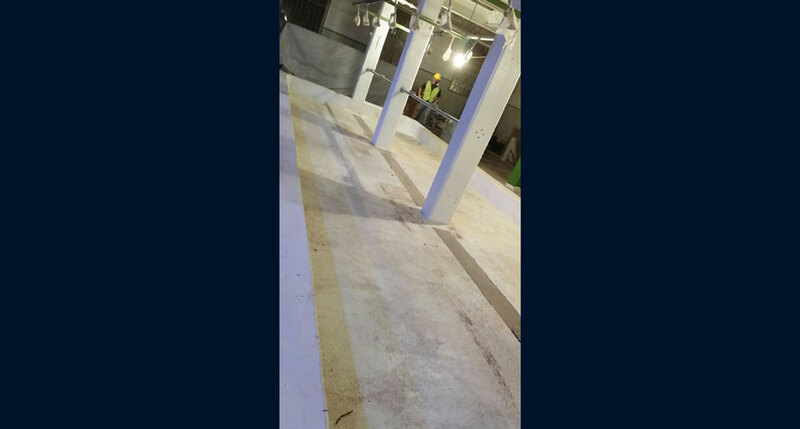 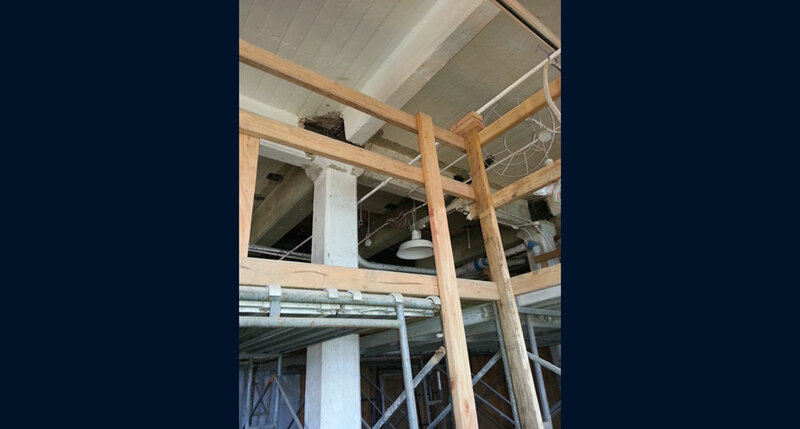 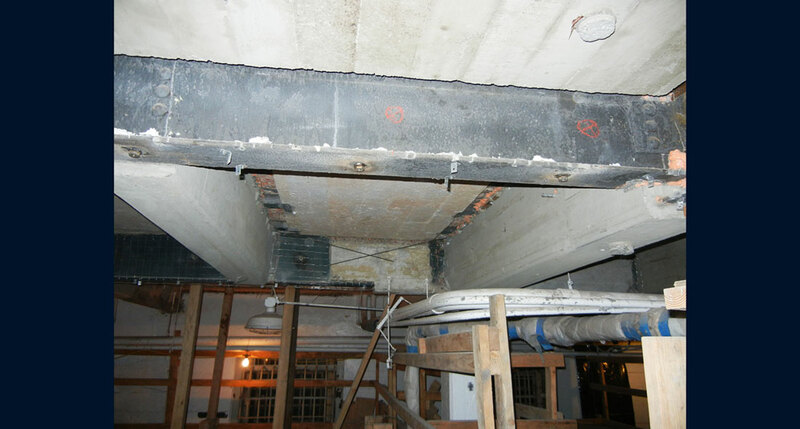 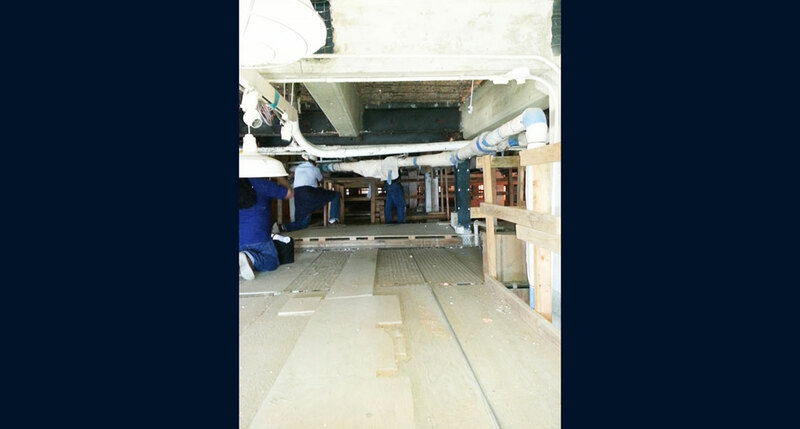 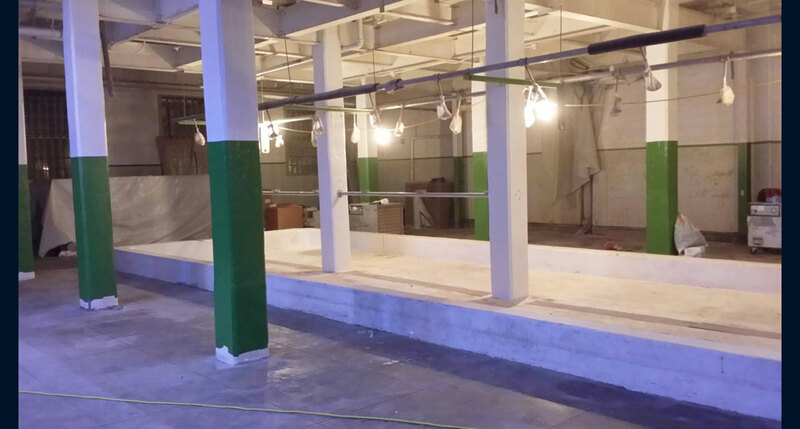 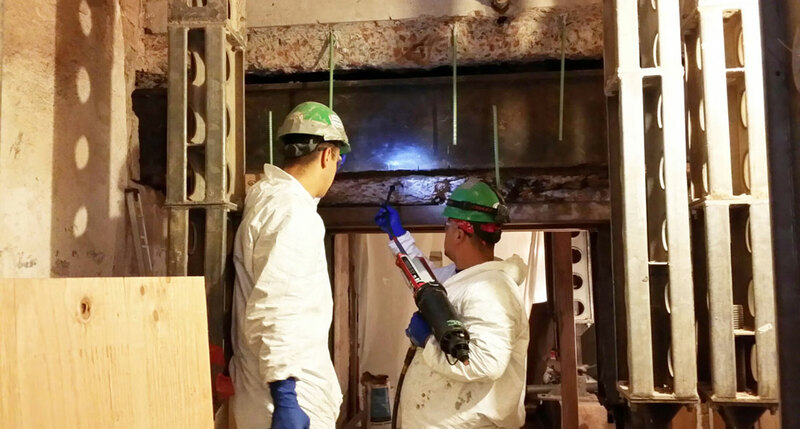 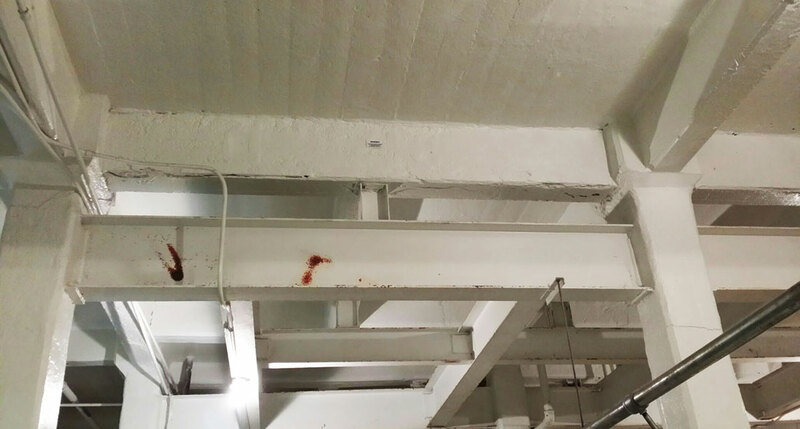 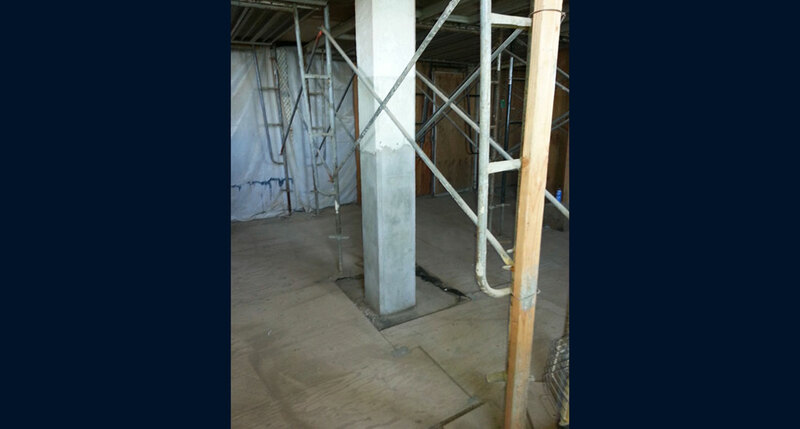 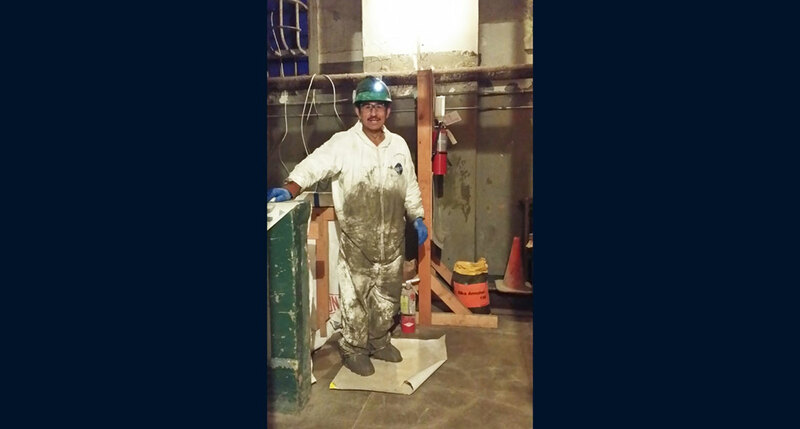 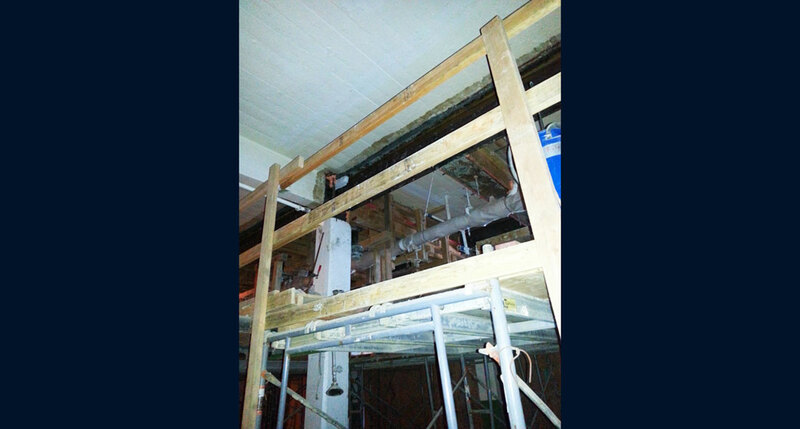 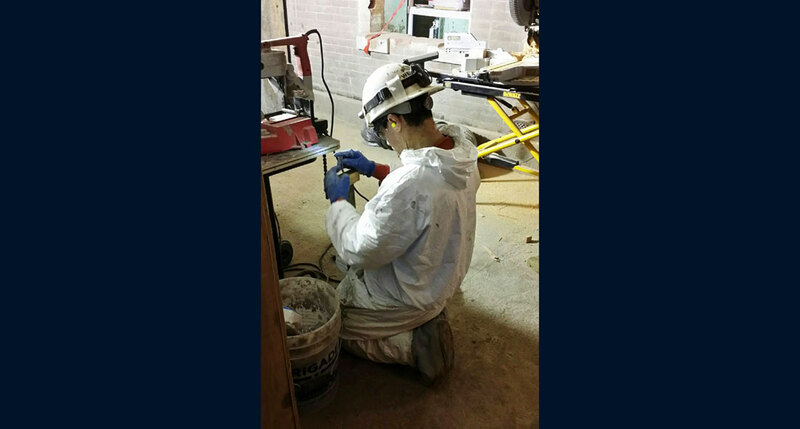 The general contractor on the project hired Western Specialty Contractors – San Francisco, CA Branch for the $3.6 million structural repair project after the original contract team defaulted on the job, pushing the project over a year behind schedule. 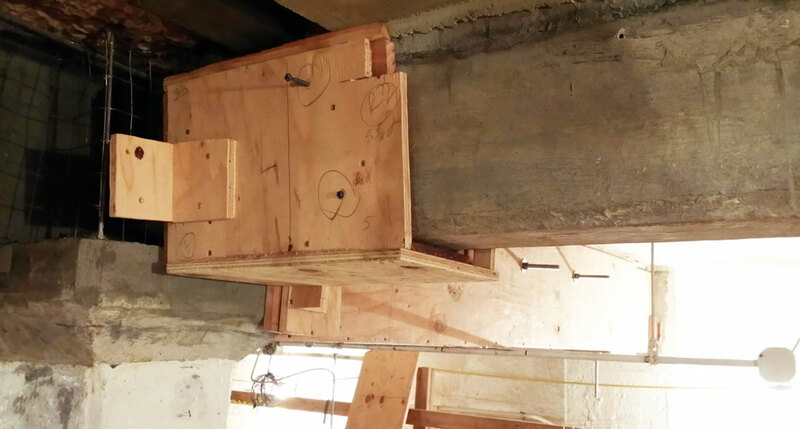 Restoration work on the structure was also required to bring the structure up to California’s seismic codes for earthquakes. 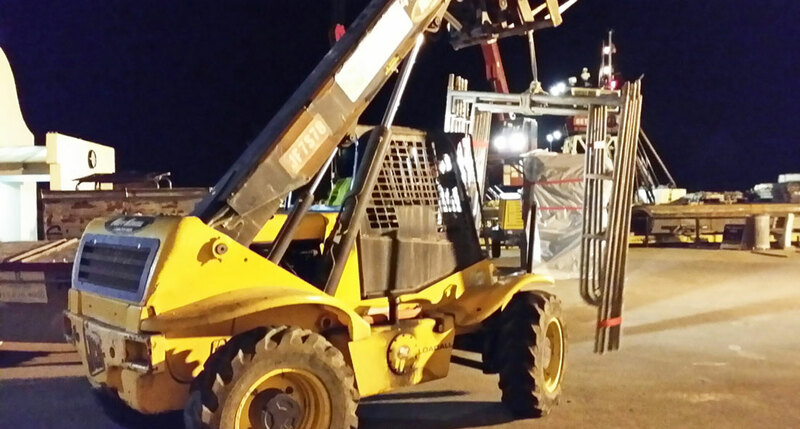 Once a contract was approved, Western crews quickly mobilized to the job site to complete the job. 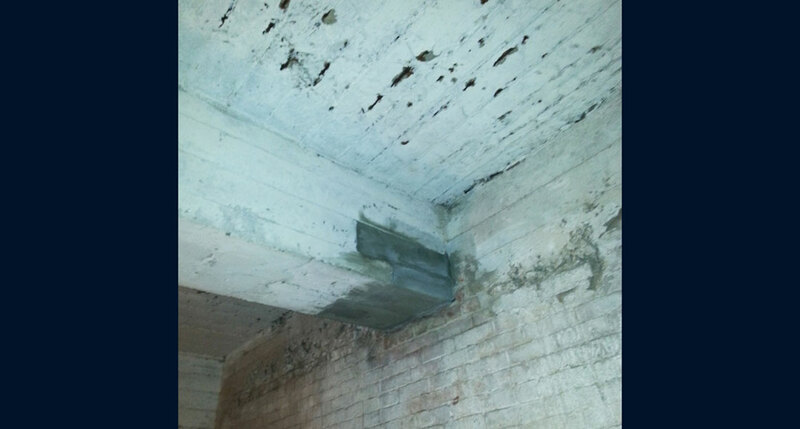 Western’s scope of work focused on the Citadel and shower room areas and included replacing beams and masonry that support the cell house floor, installing engineered shoring, repairing the cell house structural floor, performing non-structural patching and masonry, repairing salvageable beams to protect them from further deterioration and installing a cathodic protection system to prevent deterioration of the metal support. 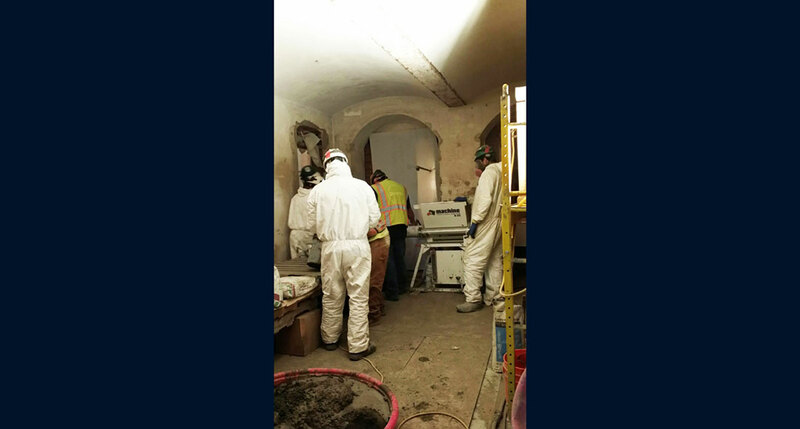 All work on the project would be completed at night to avoid disrupting public tours of the historic landmark during the day. 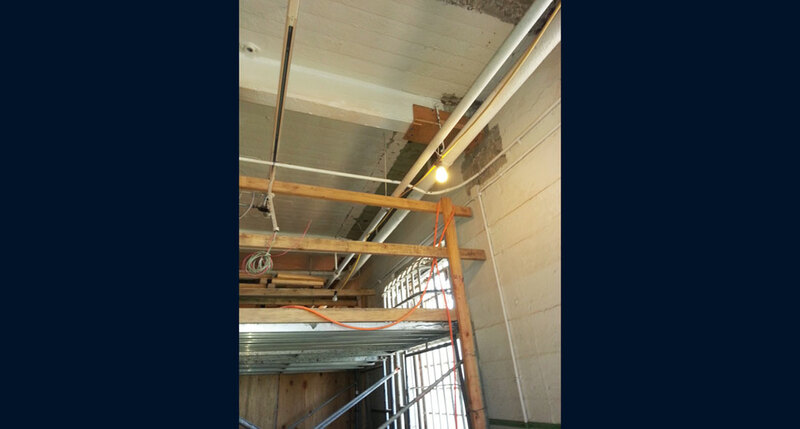 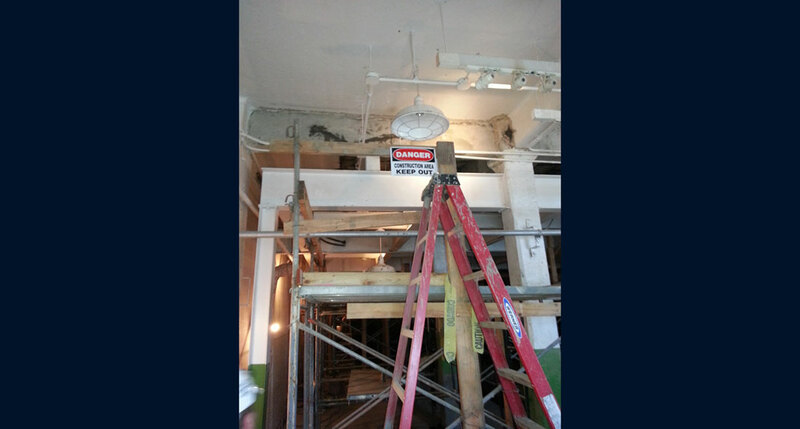 Like any historic restoration project, there were challenges. 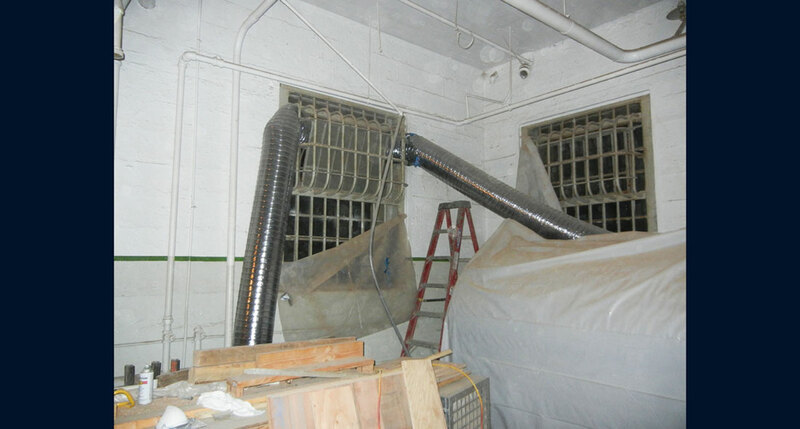 One of the main challenges faced by Western’s crews was controlling the amount of dust generated during the demolition process. 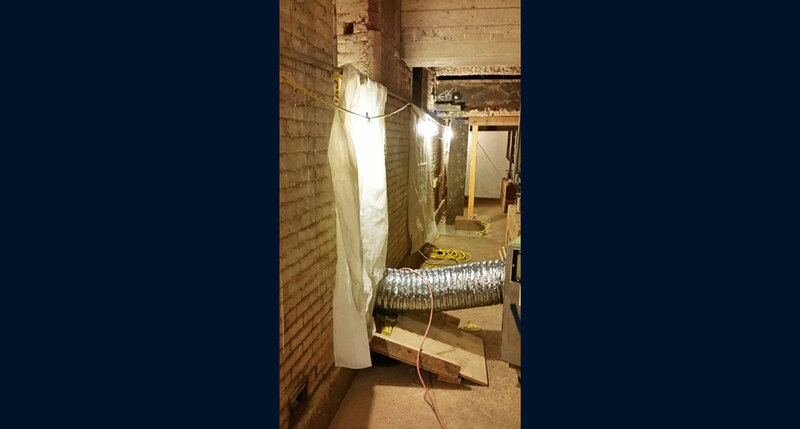 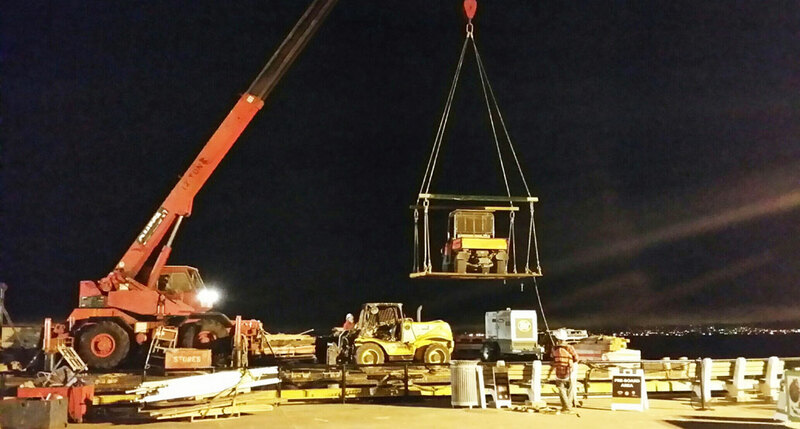 Western crews found a two-tier solution for controlling the dust – creating mini-containment zones and using large, customized air scrubbers. 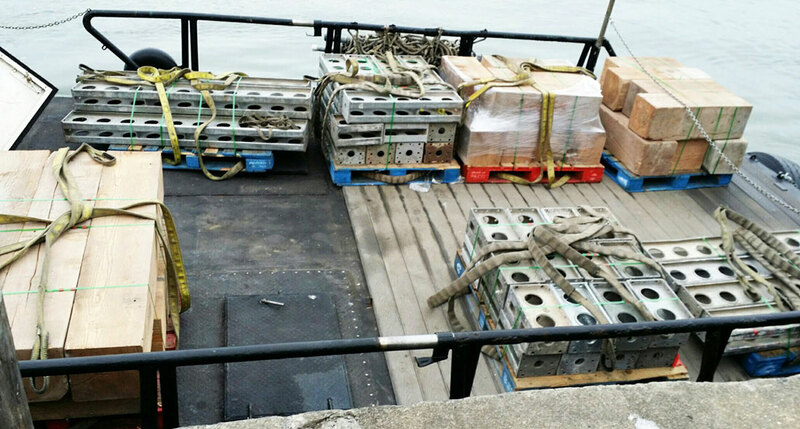 Another challenge on the project was transporting materials to and from the island. 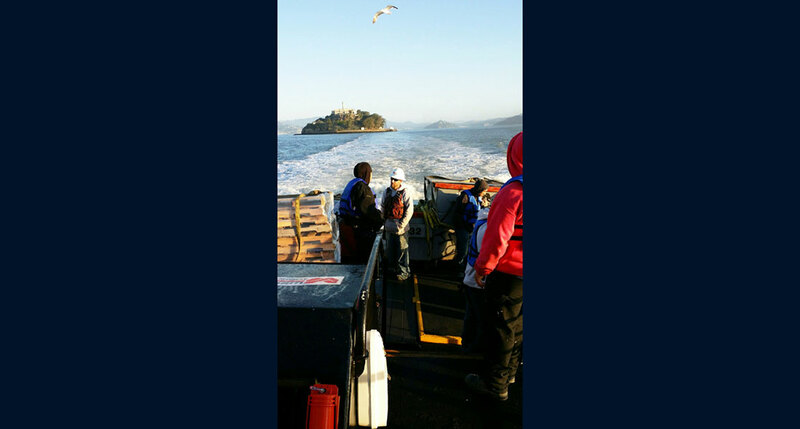 The only available transportation option was a barge. 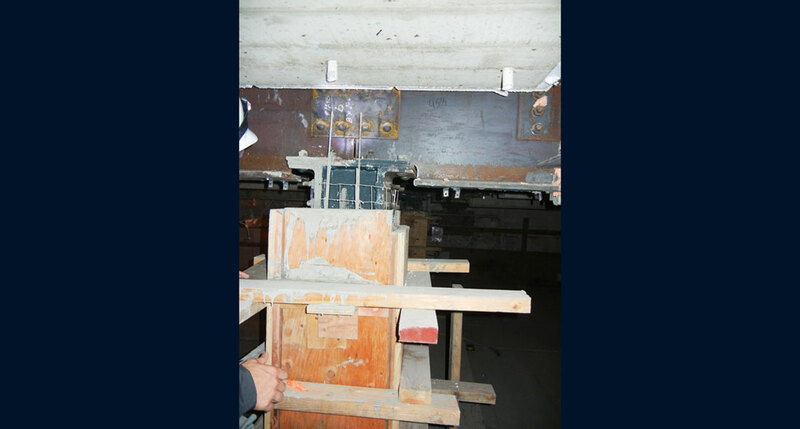 Despite the challenges, Western crews were able to successfully complete the project within nine months.